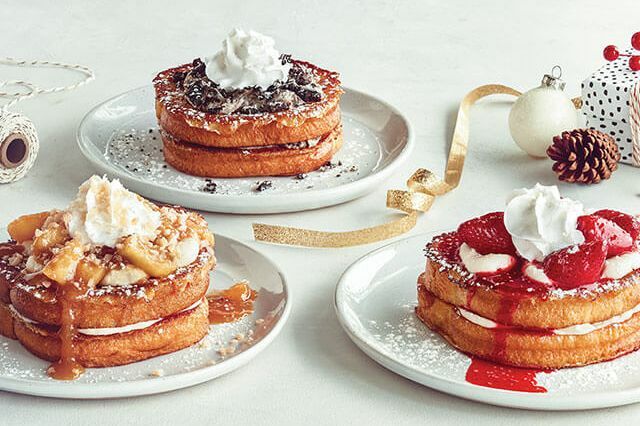 IHOP heads into the holidays with a trio of new Cheesecake Stuffed French Toast. - Toffee Apple Cheesecake - Brioche French toast layered with creamy cheesecake and toffee, topped with warm cinnamon apples, toffee, whipped topping, and powdered sugar. - Oreo Cookies & Cream - Brioche French toast layered with Oreo filling, and topped with OREO filling, whipped topping, and powdered sugar. - Strawberry Cheesecake - Brioche French toast layered with cheesecake, then finished with more cheesecake, glazed strawberries, whipped topping, and powdered sugar. 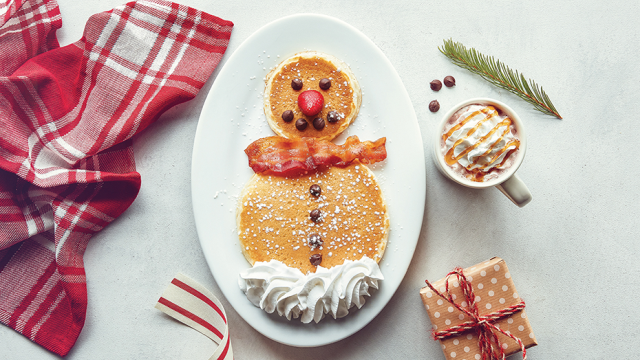 - Fluffy the Snowman - A kid-friendly pancake shaped like a snowman and decorated with a bacon scarf, strawberry nose, chocolate chip buttons, and whipped cream snow. - Gingerbread Hot Chocolate - Hot cocoa with the taste of gingerbread, cinnamon, and spice. The holiday items can be found at participating IHOP restaurants for a limited time through January 1, 2018.